Preschool at Home? Let the Children Play! Published: . Filed Under: Education, Preschoolers and Kids. I’m so honored to be a part of the first edition of the Carnival of Evidence-Based Parenting! This week Alice Callahan of the Science of Mom is hosting. She has a terrific explanation of blog carnivals, as well as an introduction to our Carnival, links to the other articles in the series from some amazing bloggers, and a discussion of this month’s topic, preschool. Check out her post or go to the links to the other articles in the carnival below. 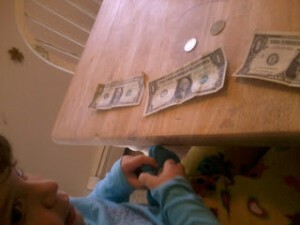 For my post, I wrote about homeschooling and preschool. Thank you so much to the homeschooling moms that I talked to for this article and who shared their experiences! During the day, they play with blocks, experiment with counting, learn about letters through board games, work in the garden, learn about camping, negotiate with their siblings, play with the neighbors, and go shopping. And, interestingly, according to the early childhood educational “experts,” Pamela and her family are doing everything right. Pamela’s family is part of a growing trend of all parents who are choosing to educate their children at home. While only a small percentage of children are homeschooled, their numbers keep growing every year, as dissatisfaction with public education grows and the homeschooling movement gains more support from online communities and grassroots organizations. Other homeschooling parents don’t agree with the discipline strategies used in preschools, or they believe that any schooling or day care experiences for young children at all undermine the parent-child bond and can expose children too early to destructive peer influences, academic pressure, and aggression. In addition to these reasons why parents choose to homeschool, there’s a simultaneous trend among parents. Families who are worried that their children will “fall behind” if they don’t reach certain literacy or mathematical benchmarks by a certain age. Parents who see the global economic trends and logically infer that “earlier is better” and want their kids to read, achieve, and be ahead of their peers. These parents want a curriculum to match the learning style and social/emotional needs of their children and don’t think that schools — even preschools — are up to the task. Or they want their children to attend preschool but the costs of a quality program are out of their financial reach. And of course there’s a corporate presence that is there to meet the perceived needs of all of these parents of very young children who have decided to homeschool their preschoolers. There is an endless array of curriculum packages designed to meet the needs of parents who want to ensure that their preschool-aged children learn important skills — literacy, mathematical, social, and more –but do it at home. Yet early educators and researchers are clear: flashcards, scripted lesson plans, and worksheets — the “direct instruction” that is a typical part of a school-aged child’s day — should play no part in the educational experiences of the toddler set. Parents are told again and again that the early years are vitally important for the brain to develop and ensure a lifetime of learning. So doesn’t it make sense that we should try to facilitate and expedite these educational experiences? Shouldn’t there be a way of ensuring that you can teach your child a particular set of vocabulary words, reading comprehension skills, and math computation? But we cannot simply transplant what works in the older grades — either in schools or in homeschooling — and reproduce it for three year olds. Learning for young children both in the home and in a school setting comes from play. Play, play, and more play. According to researchers, such as early childhood play “expert” Doris Fromberg, play is the best way that young children develop language skills, problem solving, social competence, perceptual and motor skills, as well as begin to integrate all these different sorts of abilities together in complex and new ways. Luckily, for parents and kids, if families decide that preschool at home makes the most sense for their situation, every thing that a child needs to explore, grow, and learn is right in your house or a walk away to the park. No software, curriculum packages, or assessment checklists needed. So what would preschool at home look like? Music, singing, crafts, games, housework, meal preparation…. All of these household activities can help kids learn about their world and to stimulate their brains. Kids need lots of practice in gross motor skills, using the large muscles throughout their bodies to throw, kick, jump, and catch. They should be given time to dance, run, swim, learn how to balance, swing, and play with balls. Today’s preschoolers are increasingly replacing time spent being physically active with screen time, a fact that researchers caution is harmful to kids’ short-term and long-term physical health. Physical fitness experts advise that preschoolers engage in both structured and unstructured physical activity for large parts of their day. Time spent outdoors in nature — observing and interacting with the natural world — should also be a part of a child’s daily routine. Play experiences — whether supported by a parent at home or by a preschool teacher — are what allow preschool kids to develop in every area: cognitively, socially, emotionally, and physically. Glory learns about money with an allowance. What’s best for kids’ growing minds and bodies doesn’t change whether they’re in a preschool or a living room. Stay tuned for next month’s Carnival of Evidence-Based Parenting! I was shocked to read the comment stating that preschoolers get school burnout because they are sitting at desks and not digging in the dirt. While I have not seen every preschool, the ones I have seen were always play-based. I know some parents fear preschool is not academic enough but that is crazy to me. I suppose there are preschools that would cater to this fear but I would argue this is not the majority. As this blog suggests, there is a lot of evidence to support learning through play is the best avenue for not only children’s social and emotional development, but cognitive as well. This is why I chose a patent cooperative nursery school that is play-based. I love the school so much that I volunteered to participate on the Board of Directors. I do think making high-quality preschools accessible to everyone is important, so people can have choices. Not everyone can stay home with their children. We need to do a better job as a country caring for other people’s children by providing acces to quality childcare and preschools or some type of financial support should a parent want to homeschool. Check out the website http://www.powerfulinteractions.com/. It is a neat way to think about how we play with our children. That’s a great website, Wendy! Thank you! When I was visiting preschools, I did see a few that weren’t exactly “play-based” but I do think that among reputable preschools, those are quite rare. Thankfully! Jessica recently posted…Preschool at Home? Let the Children Play! This was so interesting, Jessica! I am grateful that there is middle ground between home-schooling for preschool and those insane “preschool coaching/interview/rat race” competitive preschool experiences, because I don’t think I could do either option without losing my mind. I agree. I’m not sure that either option is right for me. That’s one benefit of living in a small-ish city: the good preschools don’t have such long waiting lists and aren’t as competitive to enter. Very interesting Jessica and having 2 pre-school agree kids gave me tons of food for thought here. So I truly thank you for that and need to do a bit more research at this point, because to be honest I am still unsure and so on the fence about so much of this. get debt help often give those who get them an avenue of false security. Your business has to be paid but due to legitimate hardship issues. qualified settlement or mediation company works for you with adequate ID, or some other documentation in your official government source. 5/12-1001e. Most of us know someone who needs this type of situation. Wow, Jessica. Now I feel kind of embarrassed about my contribution to the Carnival… this was INCREDIBLE. I would have never even thought about “homeschooling” for preschool. I think I would’ve just called it, I don’t know, life? Opting out of preschool? Because in my mind, preschool is mostly for social interaction, learning to play with others, etc. 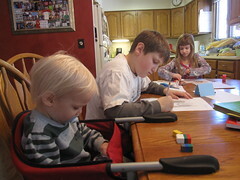 I know that most homeschooling parents are really awesome about making their own socialization networks so the kids get those benefits, and I don’t doubt that those schooling the preschool set do the same thing. But I guess I do have a bit of a hard time thinking of it as “schooling” at this age. My preschool (as I explained in my post) is not academically based at all; sometimes that gives me anxiety about whether my kids are going to be at a disadvantage later on. But I think kids are little sponges, and doing things like taking them to museums, playing at the park, doing nature hunts, having playdates – this would be sufficient “homeschooling”. This is coming off way more judgmental than I want it to. I think homeschooling is fantastic – it’s something I would even consider, depending on how public school ends up going for my kids. But the whole craze around preschool curriculums – whether they’re being implemented at a toney NYC private preschool or a home in Brooklyn – makes me wonder if we aren’t doing kids a disservice by just letting them be kids. Geesh. Who knew that the person who goes around yelling about not judging each other’s choices in infancy had so much latent judgment festering over preschool? This is why one should never respond to blog posts too late at night. Oh, I don’t think you’re being judgmental! When you know about good preschools, it’s hard not to be sort of shocked by the idea of making preschool “academically focused” with curricula. But there are a lot of people who are using curriculum packages to “teach” their kids preschool at home. I didn’t know either that there were people who were intentionally following lesson and unit objectives at home. (Like you, I had thought your kid either went to preschool or “stayed home.”) Honestly, even as an educator, I was really surprised too. But to people who know a lot about the homeschooling communities that I talked to, they were well-aware that there’s a vast industry of homeschooling “teaching” packages. This contrast between homeschooling preschoolers (and hey, it’s interesting we refer to this age in terms of “school”in the first place!) and traditonal preschool is fascinating. The idea of a preschool curriculum implemented at home might be uncomfortable because it points to some of what the school-based programs might actually be doing wrong – in so far as the program stresses structured lessons, workbooks etc. Maybe because of my background in social psychology I see the value of getting kids in group situations (i.e. other kids not necessarily entire classrooms) from an early age and so it was much easier to send them off to school – I have never been good about arranging playdates so I would have failed at providing enough kiddie social interaction. The use of a ‘curriculum’ for preschool doesn’t fit my image of a best preschool either. A clear understanding of child development and the variety of how children develop, even in small groups of children of similar chronological age (3 & 4 years old) – is the best basis for an adult managing a ‘preschool’. From that basic science, the adult should be able to prompt each child towards their next step in growth/learning/achievement. That can be done in a home & ideally with an adult who is invested in the child beyond salary and job commitment – someone who is more likely to follow a ‘curriculum’/protocol/recipe. Group interaction at ages 3-4 years is a good thing but not necessarily 5 days a week for a full day, I think. I agree! It seems like knowledge about child development brings most people to the same conclusions about the role of curriculum and play in preschoolers’ learning. I will likely home-preschool secondary to financial considerations and I was wondering how to choose good books. We have TONS of books that were given to us, but is there a brand or quality or level of book I can look for that would be best for 3 or 4 year-olds? Thanks! I would say at this age go for quantity, just like it sounds like you’re doing. Choose tons of books from the library on topics that interest them. Give them lots of choices and see if they develop “tastes” for certain authors, topics, or styles. I wouldn’t worry at all about leveling at this age. Maybe have a few ABC type books and counting books. And a mix of toddler books and “bigger kid” books. car transport the truck. There had been significant changes in almost every aspects of the same person. Transport companies use hot shot truck and multi car trailers that cover long journeys on the road, it’s a.
I agree that getting the help of an expert educationist is essential for the growth of the child. Home tutoring can become a burden for parents and may not help the growth of the child. Thanks you so muche for sharing your experience ,there is many parent in the world who see their child sufferring at the preschool and don’t know how to help them .I like what you have written “Children are born learners, and the best learning, especially for preschoolers, doesn’t happen in a classroom. It’s experiential, it’s tactile, it’s relaxed and nurturing and cozy ” .The best way for learning for a little child if the parent have time is with his parents ! Yes, it’s better to teach your child the necessary education in your supervision rather then sending them to a preschool. Yeah, I agree too kids learn from home first. Informative post with good and deep insights, I totally consents with you. appreciate your efforts which made to write this article. According to me, a child should be put in a play school because it helps in shaping overall growth and development during the early stage. For more details please visit at Kidzee. Very interesting read! Preschools can be super competitive now a days, so it is important to consider all the options as well as learn all you can about the methods of teaching your children. Thanks for sharing.